The Vandals of history were not as dumb as to do this. 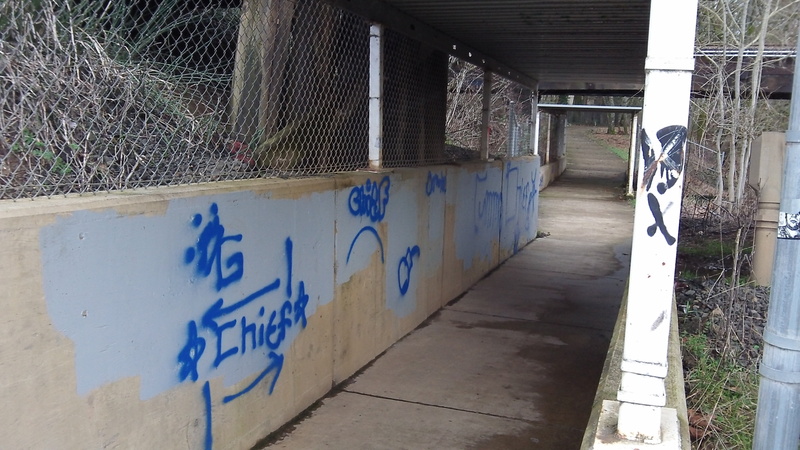 That underpass on the Cox Creek path sometimes serves as a place to rest for men who carry their belongings with them. These are not the criminals who tagged the underpass walls. They have no room in their meager packs for spray paint, and presumably they would not waste what money they have that way. Farther along, one of this tribe has had a mishap. 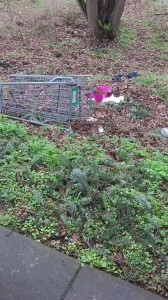 His cart is down the bank, and his stuff has spilled out, including a rolled-up sleeping bag. 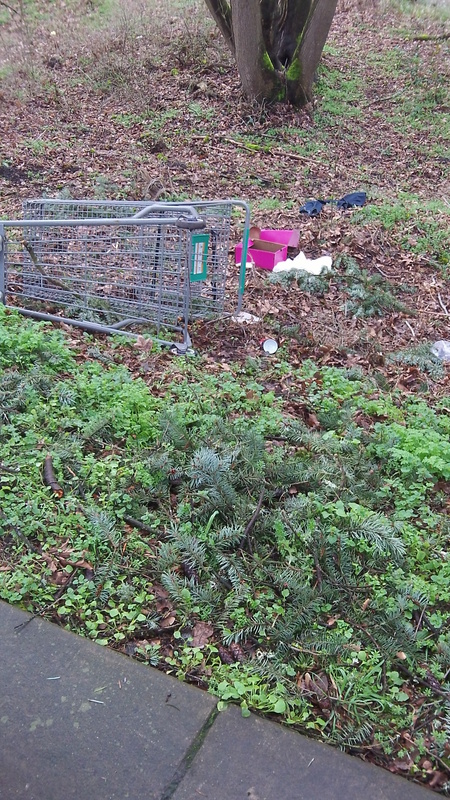 The next day the sleeping bag has been picked up but some of the rest remains, and so does the cart.